I've been a sort-of vegetarian for over 30 years, and have recently taken the leap into Vegan Land. It was time, for lots of reasons. I won't go into the negativity of the animal raising industry today. We're here to party! But I will say that eliminating meat from our diets is the single easiest way to increase our overall health, heal our ailing planet, and feed the hungry people of the world. If you're even a little bit interested, do some research. I'll post a few links at the bottom of this post. I promise you, you do not "need" meat. And I have been heard to say on more than one occasion that a life without cheese would not be worth living. I was right... A life without cheese is actually worth celebrating! 3-5 T water - added gradually, until batter is the right cake consistency. 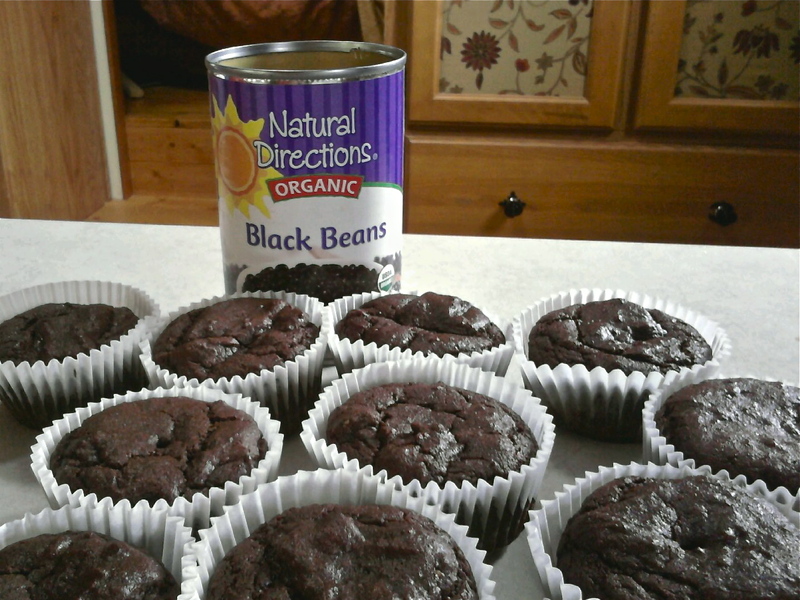 Fill cupcake cups about half full, and bake at 350 º for about 15-18 minutes. Test with a tooth pick. Now about the frosting... again I wanted something made without eggs, milk, butter, and white sugar. This is tricky. I tried two versions - one with silken tofu, lemon, vanilla, and maple syrup, and another with vegan cream cheese. While they were sort of sweet and tasty, they were too runny to put on cake, and really didn't come close to actual frosting. I mixed them together, and served it as "cake dip" at my cousin's house yesterday afternoon. (Cake Dip would be really good as a Strawberry Dip) Mitzi and her friend Serena, both devoted meat eaters, munched down the cakes and dip, and asked for more, so I know I got something right. Now they're helping me search for better frosting recipes. I've got their attention! Who knows, one bite at a time, they might one day decide to leave the meat behind too. It's all baby steps. It took me over 30 years. Now let's eat some cake! Sounds interesting. For my birthday two years ago, my friend made me a tofu chocolate pie. It was *amazing*! What a wonderful gift to your readers on Earth Day, Kim! Thanks for a very informative post. I'm going to try this recipe for sure, but not sure that I'll fully reveal the ingredients until after my family oohs and ahhhs. ;-) Do you have a good source for the maple sugar? I found a great recipe on Epicurious that called for it, and the only places I found were online, and it was very expensive. We watched Food Inc. last night and I'm determined to make a change, even if it's just to find local, organic sources for the protein that we don't catch ourselves (fish). Good Patty! All changes count, even the small ones! I haven't found a great source for maple sugar. It IS expensive, but in our house, cupcakes are a treat, not a daily thing, so I can sort of justify it. I'm also looking onto other alternatives, like organic dehydrated cane juice. I'll post if I find anything. So far, my research shows agave to be not as good as it's hyped to be, and maple sugar, maple syrup, and brown rice syrup to be pretty ok. I also use stevia in my tea, but need to experiment with it in baking. So much to learn! The above translates to: "Is impossible” this character word, could not find in smart person's dictionary". I have to wonder who in China is attempting to read my blog......? That looks jummy Kim! I've nominated you for the Sunshine-award! I love to read your blog! More info's are on my blog ( http://blog.kralalien.nl ). "Is really very interesting. This naturally must go against one"
Kim, I'm also vegetarian and have been since I was about 12. I never liked eating meat, I always felt it made me FEEL ill. I have always felt much better for not eating it and of course, feel better for the poor animals too. When we see the lovely little lambs in the fields in the Spring, people say how lovely they are, but most of them then have them on a dinner-plate ~ it's horrible, leave them alone I say !!! Leave them in the field, they ARE lovely ! Love the sound of your chocolate cup cakes Kim, I will try that recipe, chocolate cake is my favourite !! Tnanks ! we have vegans, vegetarians, and one person on the Atkins diet here. It is a craszy crazy world! knowing the best sources to locate ingredients for vegan comestibles is the trick! Don't you think? Yay you!